Paul I of Russia, whose mother was Catherine the Great, clocks in as the third worst ruler in Russian history. Born on September 20, 1754, Paul Petrovich was supposedly the son of Tsarevich Peter and his wife Catherine. It is more than likely the actual father was Sergei Saltykov. When he was born, he was taken away from his mother and was raised by Empress Elizabeth until he was eight years old. When Elizabeth passed away in 1762 he was surrounded by tutors such as Nikita Panin but his mother had little to do with him. His early childhood would shape his mind set as he became entranced with military parades and processions. This would become an abnormal obsession when he and his second wife, Maria Fiodorovna, lived at the estate at Gatchina. There, Paul had his own personal army, which he ruled over, sometimes quite cruelly. After his mother died, he decided to reverse many of Catherine’s decrees, known as ukases. During his five year reign, Paul issued over two thousand ukases. It was his first domestic ukase in April of 1797 that lands him on this list as one of the worst Russian rulers. His idea of male primogeniture for the succession to the throne doomed the Romanov family. Instead of being able to select the best member of the family, male or female, the first born male had to become Tsar. The culmination of this rule was the ascension of Nicholas II, a man ill-suited for the position by his own admission. While this ukase was a terrible blunder, if that was all Paul had done wrong, I would have dropped him down the list. Instead, he alienated the nobility with higher taxes, reintroducing corporal punishment for the nobility, and randomly sending people into exile to show off his unlimited power. He then angered the military by changing to a more Prussian model. By 1801, his vacillation between supporting Britain or France was thought of as dangerous for Russia by many members of the court. A plot was hatched to remove Paul from the throne and replace him with his son Alexander, someone who Catherine had preferred. In March of 1801, A number of men stormed into his room and brutally murdered the Tsar. It is unlikely that his son was in on the assassination plan but was probably made aware that his father was to be taken off the throne. Catherine posing for the painter Rokotov. 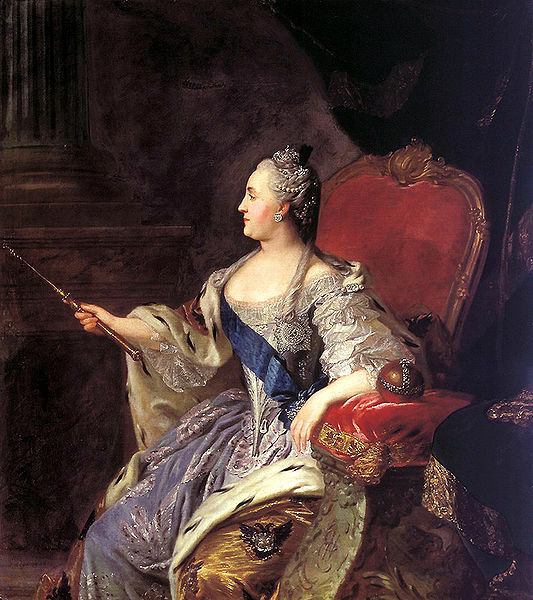 Catherine II, also known as Catherine the Great makes it to #4 on my list as best Russian ruler. Born in 1729 in Stettin, Prussia as Sophia Augusta Fredricka, she was betrothed to the orphaned grandson of Peter the Great whom she married in 1745. This loveless marriage was to produce one son, likely not her husband’s, a boy who would become Paul I. The one most associated with fathering Paul was Sergei Saltykov. Her early years in the court of Empress Elizabeth were difficult. The empress was a controlling women who had little tolerance for independent thinkers such as Catherine. She wrote a autobiography of the times in the court of Elizabeth which showed how isolated she felt. When Elizabeth died, Catherine’s husband, now known as Peter III, assumed the throne. He proved to be extremely unpopular in the court as he ended the war with Prussia and immediately declared was on Denmark. To make things worse, he alienated the house guard units and the influential Russian Orthodox Church. There was one issue that made Catherine nervous and that was the very real threat of her being divorced and sent to a convent as he had taken and flaunted his mistress Yekaterina Dashkova. 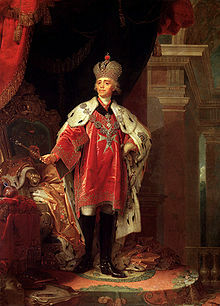 On July 9, 1762, Peter III was deposed and strangled to death. Some believe Catherine was in on the murder but that is highly unlikely. The new empress was crowned on October 3rd of the same year and quickly consolidated her power. She quickly began to focus the early years of her reign on the promotion of administrative efficiency and expansion of educational opportunities. Catherine was also a patron of the arts as seen by her founding of the Hermitage Museum in St. Petersburg. Her international flair culminated in the victorious Russo-Turkish which was somewhat tarnished by a domestic rebellion. Emelian Pugachev led thousands of disgruntled Cossacks and serfs in 1773-75. The city of Kazan was burned by the rebels but their army was eventually brutally quashed by the Russian army. She did much to raise the world’s image of Russia and greatly improved the administration of local laws and taxes within the country. While she has numerous flaws, overall Catherine made Russia a better place than she left it. Unfortunately, her son Paul I, would unravel much of her work and put the Romanov dynasty on a death spiral that would culminate with the abdication of Nicholas II in 1917. © 2019 Russian Rulers History. All Rights Reserved.